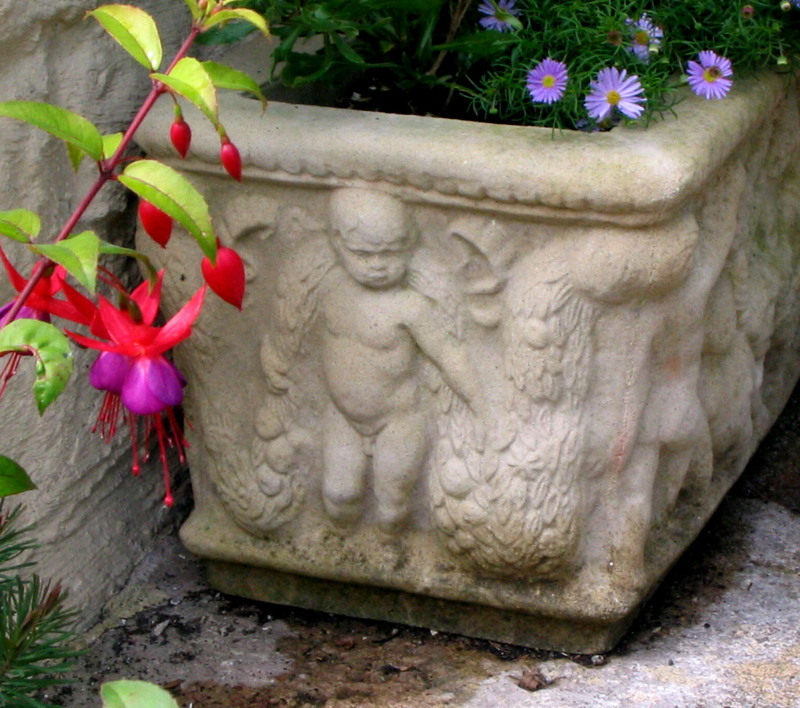 How to Make New Cast Stone Items Look Like Antique Garden Stoneware. Sandstone is almost like a living thing and will change over time depending on the weather conditions of the surrounding area where the item is situated. The first sign of change is the appearance of efflorescence, which is seen as a white bloom and is simply salts coming to the surface. This is a normal process for anything containing cement binders and is a temporary change. This will disappear over time, or can be washed off. The next stage is weathering; something that is dependent on wet weather and can start to happen in four to six months or may take several years before it begins. This is a change or look that is sought after by many people and is often speeded up and encouraged by the application of natural yoghurt or cow dung as a way of attracting bacteria to grow on the item. 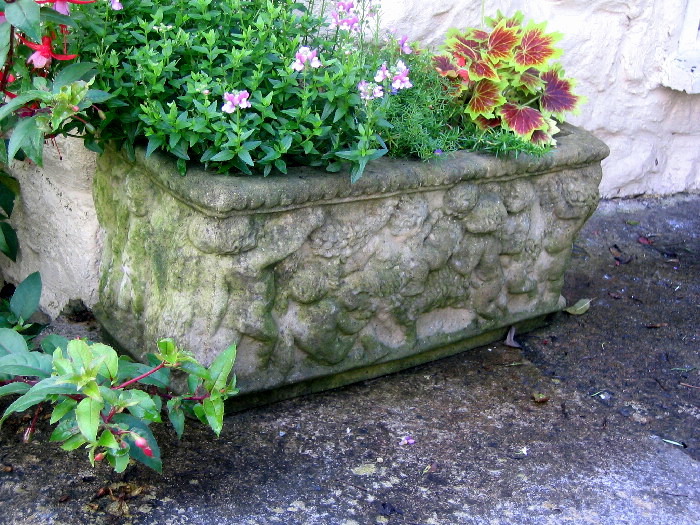 It is this weathering that gives garden stoneware its antique look. Old weathered stoneware is often more desired by many people than newly made stoneware. Such is the demand for this old antique stone look that weathered stone sells for a premium price at reclamation yards. Another part of the ageing process that appears in some circumstances is minute crazing or small fissures on the surface of the stoneware. This is generally caused by extremes of temperature, i.e. very hot or very cold weather. This change to the surface of the stone will not affect the overall structure of the item in normal circumstances and can often add to the antique look that many people seek. Why pay sky high prices for antique garden stoneware when you can create your own replica antique stoneware ? 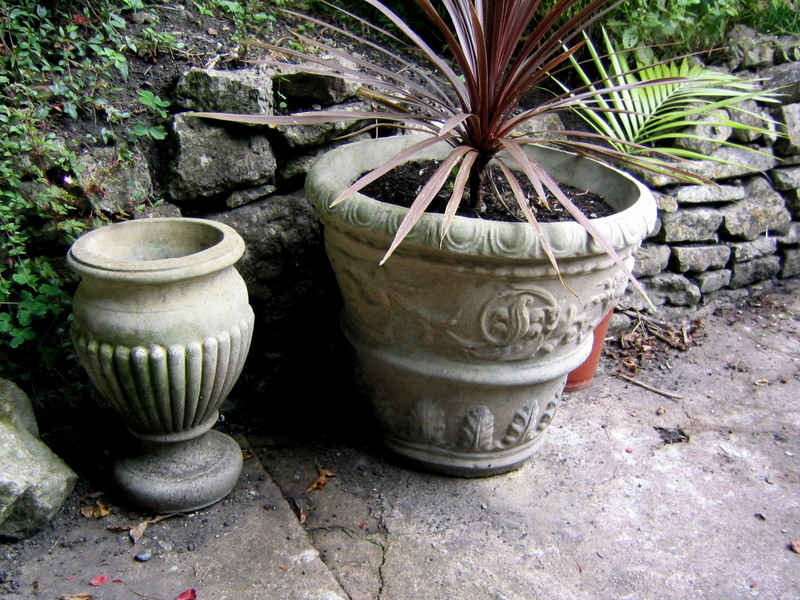 In the last few years Shepton Classic Stone has supplied a number of reclamation yards and antique dealers with newly-made classic garden stoneware. After following the above process of applying watered-down natural yoghurt or cow manure in order to weather this stoneware, these items are sold on as classic antique garden stoneware. In some cases the items are purposely chipped to give them more of an aged look, when in fact the items in question are relatively new. There is no reason why any person cannot follow this process to create replica antique garden stoneware for use in their own garden without going to the expense of buying from a reclamation yard or antique dealer. Many times one of the first things that new customers say when they come through the door is, “how do we weather it up?” ! It’s as if, even though they like what they see, it all looks too new to them. Also customers who have bought items of garden stoneware several years ago say, “It’s all weathered up nicely”. Basically, it seems that people want ornamental garden stoneware to be new when they buy it, but to look like an antique as soon as possible.